Learn to draw from concealment and shoot accurately within two seconds, how to clear malfunctions instinctively, ammunition management, off-hand shooting, one handed shooting, multiple shooting positions, how to continue the fight when injured, shooting under extreme stress, and threat assessment. 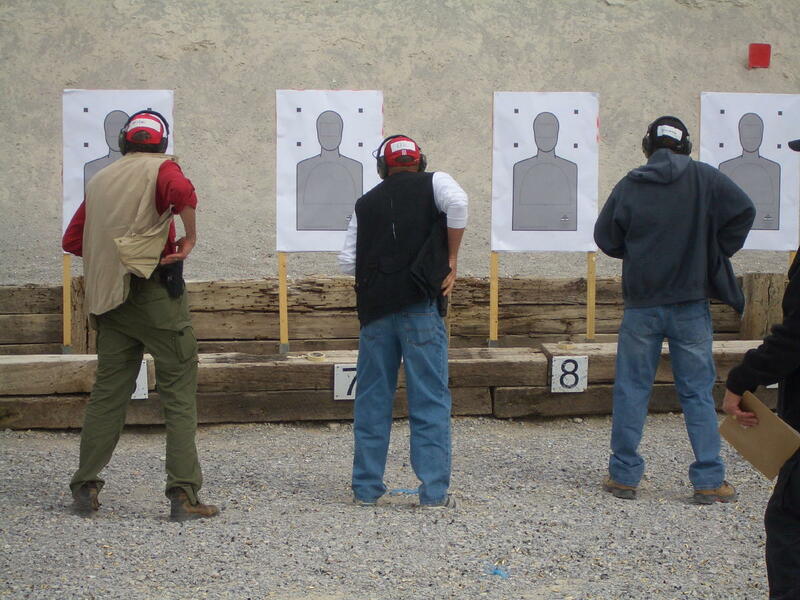 This one-day class focuses on drawing and firing from a concealed holster in situations where speed, accuracy, movement, and threat assessment could be lifesaving. Students will learn how to continue the fight if they are injured through challenging one handed shooting and malfunction clearances. This class will be physically draining as it involves a lot of movement while shooting. Students must be experienced safe shooters and be pre-qualified to take this class for safety reasons. Students need a full sized 9mm or greater caliber semi-automatic pistol, 350 rounds of factory loaded target ammunition, a belt mounted outside the waistband holster, a belt mounted two magazine holster, a concealment garment that fully covers the holstered pistol, electronic ear protection, and eye protection. This is not a NRA certified class. You must register at least 5 days in advance of class. If less than four people pre-register the class will be cancelled and deposits refunded. Last minute registrations taken if four people have pre-registered. We will consider 18 to 20 year old students in this class on a case basis and may require a parent or guardian to take the class with them. Pre-payment with your registration is required to reserve a slot for a class. If you cancel attending more than 48 hours prior to the scheduled start time of a class you’ve registered for there will be a $50 cancellation fee deducted from your refund to cover our advance administrative costs. Cancellations within 48 hours of a class are subject to a $75 cancellation fee and if you do not cancel or show up you are not entitled to any refund. Looking for an Advanced Pistol firearm training course in The Woodlands, Conroe, Spring, Montgomery, Tomball, or greater Houston area? We’re glad you found us! Give Handgun Skills a call today 281-645-6290.